It’s time to introduce a new weekly feature to my blog – a Q&A session; “Your eBay & eCommerce Questions Answered”! Previously, I would make an individual blog post for specific questions you sent in but over the last few months, the number of requests for help has increased tenfold so I thought – why not share some of these questions/problems with other blog readers in one weekly blog post? So here it is – my new series of posts where I’ll answer your questions and try to share my extended knowledge of eBay, eCommerce and online business in general. 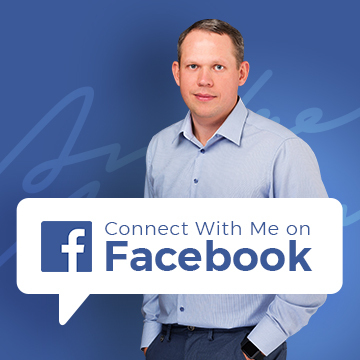 If you have a question you would like me to answer, you can get in touch here. How to BEST narrow down search results on Alibaba? How to start import products from China for existing business? How to import children clothing from China? Niche OR no Niche? That’s the question! Can I order product from China for personal use? How to increase profit margins while selling on eBay? How to sell information products on eBay? How to receive stock in USA? Is Western Union safe when dealing with suppliers in China? Hands free importing from China? Please note: I do not edit your questions so there may be a few grammar mistakes here and there, especially in questions sent in from non-native English speakers. I found couple of them but they just accepts M/G or W/U that was price that would be possible to make pound or two but most of them is very pricey comparing with the price on eBay for same product even same packaging . Maybe could give some tips how to identify or even sort the search somehow because now I am on that website 3 days and got nowhere? If it’s an unbranded product, you should be able to find much lower prices on Alibaba compared to eBay. After all, China is the place where most sellers source those products and the place where 99% of them are manufactured. If it’s a very cheap item, make sure you look for direct manufacturers and not trading companies. You also have to be ready to buy in true bulk, in order to get the best possible price. For example, if an item sells on eBay for £2-£3, you will probably have to buy at least 1000 pieces to get a competitive price, in some cases – even more. If the product is more expensive, required quantities will go down. For example, if a product retails for £100 on eBay, you should be able to get a good deal directly from the manufacturer buying just 100-200 pieces. To help you with your search, try using some of the filters provided by Alibaba to show results only from Gold Suppliers, verified suppliers and ones that accept Escrow. You should never pay via MG or WU when dealing with suppliers in China, apart from cheap samples (as WU and MG are cheaper and quicker than wire transfer). But do this only when suppliers don’t take PayPal, as that should be your preferred payment method both for samples and real orders. Lastly, don’t take for granted the prices, MOQs and terms that are published on Alibaba’s product pages. You still want to get in touch with each supplier (Live Chat works best for this) to find out exact prices and terms for your potential order. This doesn’t put any obligation to order on you – just make sure you do enough research to find the best possible supplier and offer. I’ve owned a total 4 newsagents for about 16 years now, and I have never decided to source my own stock from China. I use the local distributors and cash and carry (e.g Makro) which I know charge more for the products, compared to what you can get them from suppliers on Alibaba. The fact we now sell a lot of toys and bags means that we are paying over the odds to buy them in the UK. We struggle greatly from supermarket competition. Each shop takes around £650 per day, when last year it was around £770 per day. We have around 8% profit margin, stuff like fags we make nothing, same with the lottery. Toys and Cards are the only way forward, I just need a bit of help on understanding importing my own stock . I want to be able to buy them in quantities in from China. However I do not understand the tax or import duty costs, nor do understand how the process works. Do you sell any guides which will explain the possesses in detail or books? With 4 newsagents and almost £3k in daily sales, you should definitely start importing directly from China! Stuff like pocket toys, bags and cards are pretty easy to import and taking into account your sales volume, you can buy directly from manufacturers which will enable you to get the best prices. With toys be careful though as they need to be certified and properly labelled. This is something you, as the importer, are held responsible for. Check out this guide from TWF which covers the basics of importing toys from China. You’ll find thousands of suppliers there, so check this Alibaba guide first and make sure you understand the general concept of importing before making any deals. I don’t have a specific course on importing alone, but in my Easy Auction Business video course I cover product sourcing in detail, so if you want to learn more about how importing from China works, definitely check out EAB too! I am starting a small children’s clothing line business, I’m thinking of ordering the fabrics and the manufacturing from China, I found a good supplier on Alibaba, how do I know he is genuine and also he wants me to open an international express account? Also how do I work out how much it would cost me to import? Any info/help would be so gratefully received. First, check out my Alibaba Scam Exposed post, which covers my 10-filter system to avoid 99% of the scams on Alibaba. If you want to be 100% sure you’re dealing with a legit company, invest $100-$150 and hire someone from Alibaba’s inspection service. When you do this, an agent will visit the supplier, take pictures of their premises/warehouse/factory and send you a detailed report which will help you greatly with verification. As for other importing costs – e.g. shipping, VAT, import duty etc. – check out my Importing from China guide. In general, you’ll need to get a shipping quote from a freight forwarder to know exactly how much extra you’ll have to pay. Go for a door to door quote which will include all associated fees, giving you a precise number to work with. Lastly, courier account – this is really optional. Suppliers often ask for this so that they can send samples/orders via your account so they don’t have to deal with shipping. But it’s optional. You just say that you don’t have a courier account and ask them to organize shipping themselves and add the cost to your invoice. As you might have guessed I’m in the product research stage using Terapeak etc. You advocate dealing with a single niche which initially sounded correct as I personally would rather buy from a seller who has experience, knowledge, expertise and passion in that area than a bits and bobs kind of seller. However, I see many eBay sellers having a lot of success offering many different types of products and I’m wondering whether it might be better to have hot-selling products across multiple niches OR have a few hot selling products and a few that aren’t just to fill up a shop and be ‘niche’. I’ve been looking at ‘travel accessories’ as it’s a subject I’ve had experience in and could write enthusiastically about among other factors. Have you any initial thoughts on this as a niche? Good question. And it needs to be answered in two parts. 1) If you plan to sell ONLY on eBay, without wanting to expand to your own online shop, you can create an All-in-One style store on eBay and sell various unrelated products. This is perfectly fine and as you said, many successful eBay sellers do just that. This approach is good for people who are on a limited budget or people who simply can’t decide on one specific niche to work in. You can start by selling various products and maybe after some time, narrow down to a more specific product category. The downside is that with this approach you won’t have that ‘expert status’ in your buyers’ eyes so your conversion rates will most likely be lower compared to competitors who work only in one niche. You can of course minimise this effect by having a great looking brand and listing with a detailed product descriptions and extensive pictures. 2) If your long term goal is to have a sustainable business OUTSIDE of eBay, with your own online shop, I would recommend sticking with the niche based business concept. Why? Because while on eBay you can make money selling various items, outside of eBay it will be very difficult for you to position your shop and brand in an effective way and it will be very hard to promote your All-in-One shop via paid traffic methods or SEO. When you have an online shop like this, you’re competing with eBay, Amazon and other super large online retailers. And trust me; that’s not an easy game to play! To sum it up – if you plan on selling solely on eBay, you can ignore the niche based business model if you’re ready for lower conversion rates. On the other hand, if your plan is to sell via eBay and your own online shop, the only way to make it work in the long run is by choosing a niche market and positioning yourself as an expert in that niche. I read your article, & actually really enjoyed it, regarding Alibaba & AliExpress. My question is I know quite a few people who order through AliExpress for themselves, not owning a business and not buying in lots, is that ok on the site or could it lead to trouble? I only ask because if it were meant for strictly businesses then there’d be some kind of prerequisites. There’s nothing wrong with buying stuff for personal use on AliExpress, or Alibaba for that matter. There are no laws or rules that prohibit you from doing that. As long as you pay VAT and import duty on your imports, you’re not breaking any laws as an individual. However the downfall is that I really do not make a lot of profit.. With the cost of the items, the postage, packaging cost and of course eBay fees. I also do drop-shipping for a person in Sydney which also is slow but when I sell I may make a couple of dollars. I have tried my best and worked hard to maintain my 100% feedback (all 2755). I really enjoy making up my own CDs (copying, printing of cd labels) making it look very professional. I have always wanted to find different things to work… Not frightened of giving things a go and giving it my utmost best shot. Recently I purchased a fairly large set of CDs/DVDs to start an online business with eBooks, the problem I have is I do not know where to start… How to combine a few different topics into one package to make the possible purchaser interested in making that purchase. I have quite a huge amount of eBook titles but do not know what to do with them. 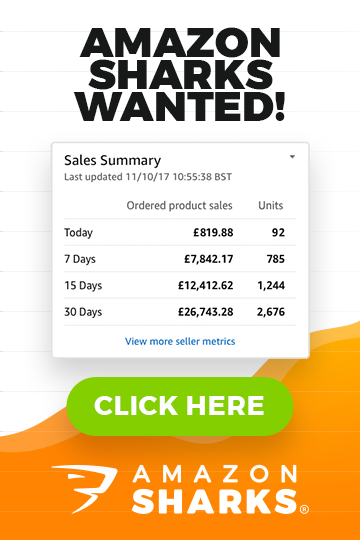 About your current eBay product that sells but doesn’t bring in much profit – have you tried looking for another supplier, who could offer you cheaper prices thus increasing your profits? Or have you considered asking your current supplier if they can reduce the price if you order in bigger quantities? The amount of goods you order in one go will directly affect the price you pay for them. The more you buy, the cheaper the price you’ll get. Another place to look for savings is shipping costs. Again, the more you order in one go, the lower your shipping cost per item will be. If you’re using an expensive shipping method, such as a courier, consider switching to air freight or even sea freight, which is the cheapest shipping method out there. For more information and tips, check out my Importing from China guide here. Talking about info products – eBay is really not the place to sell these, unless you create your own, highly valuable guides and training courses for specific audiences (such as software tutorials). It’s just in most cases people don’t go to eBay when they’re looking for information. They will go to Amazon or do a Google search instead. Check out my information products business guide here to learn how you can make money online selling information, outside of eBay’s marketplace. Just found you through your amazing blog on fulfilment houses – thank you! I am hoping you may be able to help me with one question – I want to import a product from the U.S. but notice that FBA won’t receive the goods. Is there a way around this as I don’t want to receive and then send on. Thanks so much ahead for any help you can provide. I’ll be buying some things from your site as a thank you!! Yes, there’s a very simple solution to your problem – mail forwarding companies! These companies give you a free mailing address in the USA (or any other country), where you can send goods to, which they then forward (send) to anywhere in the world. These companies usually charge a small fee for each handled shipment and often they offer great savings on shipping costs due to the large amount of packages they process on a daily basis. I personally use Shippito.com (in the US) and have found them to be very reliable and affordable. I have a seller: sun xin from Huaian Sunland Int’l Trading Co., Ltd. Gold Member China (Mainland) on Alibaba that I have been corresponding with for a possible $700 purchase for boot socks. He is requesting western union payment and since i refused he now suggested PayPal. He says he doesn’t ‘know how’ to do escrow payment. Is PayPal safe? I am in the US and this is not through eBay. You are very knowledgeable, I don’t want to miss out on a good deal but I don’t think I have protection through PayPal? Any help much appreciated! Thanks! They actually say they do take Escrow payments on Alibaba so maybe that sales agent doesn’t know what he’s talking about? Try contacting them via a general contact form and see if you get a different response. NEVER use Western Union to pay your Chinese supplier. There’s no safety net with WU payments – once you send the money, it’s gone for good. More so, WU payments can be sent only to individuals and not companies – this means that someone who works for that company could take your payment and just leave and you’ll be left with no stock and your money gone. PayPal is much safer in that if your supplier accepts PayPal, it means they’re more serious compared to scammers who only deal with Western Union or Money Gram orders. Also, when you pay via PayPal and fund your transaction with a credit card, you always have the option to initiate a charge back via your credit card company, if things go wrong. I would suggest that you start with a small sample order, pay via PayPal and see how it goes. By small order I mean just samples, worth less than $50. Then increase your orders gradually to minimise the risk of getting scammed. The information has been really helpful. I have a product that I want developed in China. I want to use Alibaba to find a manufacturer. I then want this manufacturer to deliver the goods to a U.S. fulfilment centre (Amazon). My question is do you know who would take care of the importing into U.S. and taking care of customs clearance and fees that would be needed to be paid on the good? How do people do this? I’ve done a ton of searching but haven’t found anyone who has explained exactly how this would work from point to point. If you want to keep things simple, use a freight forwarding company. They will organise the whole process and give you a door to door quote so all you have to do is sit back, relax and wait for your goods to arrive. Here’s one company I recommend for such shipments – Woodland Global. One thing though – if you want to send goods directly to FBA, you need to make sure that the manufacturer in China packs them in retail boxes/packaging – so Amazon can process these goods for storage. If this is not possible, you’ll need to re-label and re-pack the goods somewhere in the USA before sending them on to Amazon. it is so kind you can share your knowledge to us, i will go through one by one.although i am a chinese, i still have to be very cautious to get reliable products, and i have to spend a few days to test the products before go to ebay or amazon, otherwise, replacement shipment cost is so high. We have recently bought your EAB course for which we thank you and believe we can learn a lot from it and are starting to implement your suggestions. We sell clothing and lingerie on ebay and are silver power sellers and with the current ratings we are TRS too. We are very concerned about the new rules coming into effect from 20th August and would like to know your feelings and comments on these. We sell in an area that naturally attracts more than our share of scammers , Item not received etc, the product is priced competitively so a pod would impact our sales and but we naturally get returns too – not every items looks as good on the picture as it does on someone’s body – it is something that we expect and up until now ebay have too. Our current performance is 99.9% however on the new TRS from August our current rating our defects level is 2.48% which would make us only an above standard seller. I plan on doing a separate post on new eBay rules in near future so please stay tuned for that. And Many Thanks for your EAB purchase!